Comments: It is known as autumn crocus, but in various regions it is known as naked-ladies. All parts are posionous if ingested. A very nice surprise flowering bulb blooming in late summer. 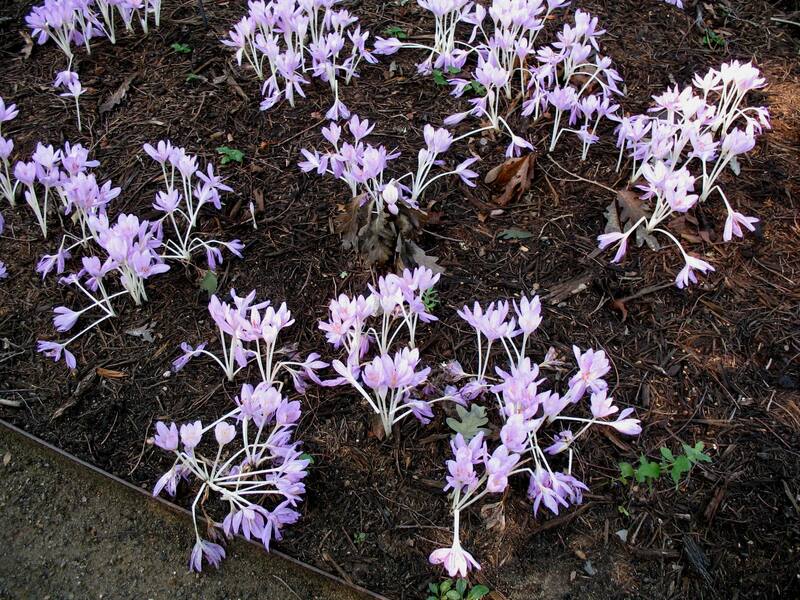 If left in place and the foliage is allowed to mature bulbs multiply and form large colonies of flowers.